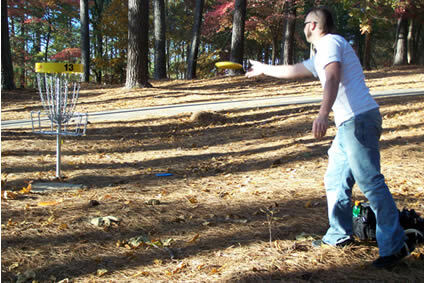 In a partnership with the Gaston Disc Golf Club, the Gastonia Parks and Recreation Department installed 18-hole disc golf courses at Rankin Lake Park and Bradley Park. The natural beauty and challenges of these courses, as they wind through heavily wooded areas and open, grassy sections, have made them popular sites for local disc golfers. 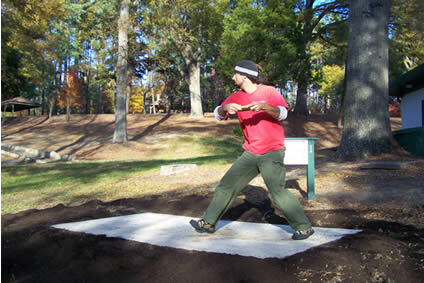 For information on the Gaston Disc Golf Club go to http://www.gastondiscgolf.com/index.htm.